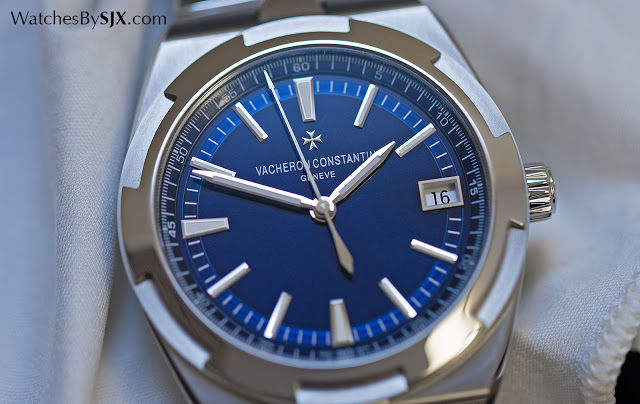 Face-lifted and improved, the new Overseas was the focus of Vacheron Constantin's showing at SIHH 2016. Here's all you need to know about its line-up complete with original photography and prices. 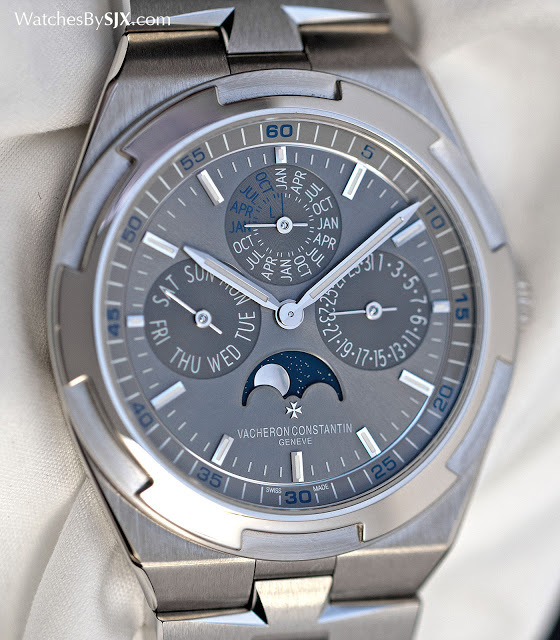 Vacheron Constantin unveiled the new Overseas at SIHH 2016 to much fanfare, with photographer Steve McCurry of Afghan Girl fame in attendance. 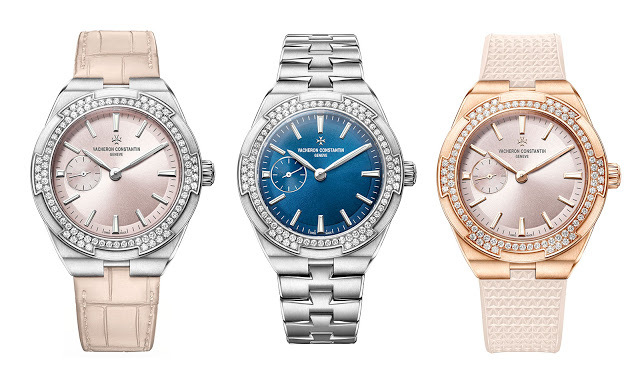 Having revamped the Overseas design and kitted out the whole line with in-house movements, Vacheron Constantin is banking on it becoming one of the benchmarks in the luxury sports watch segment. 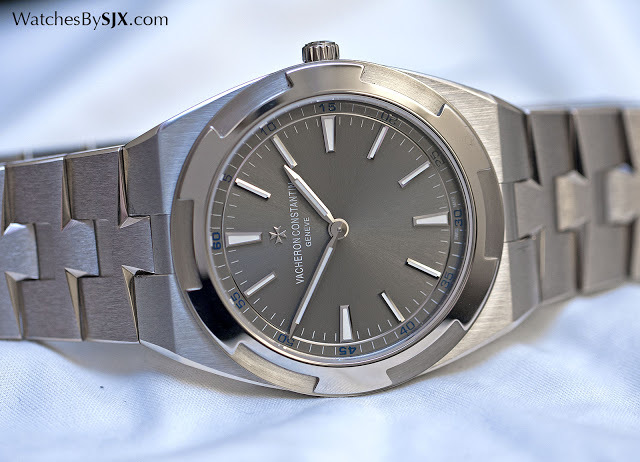 Visually the new Overseas is recognisable similarly to the previous generation, with a similarly styled bezel and bracelet. The case, however, takes more of a barrel shape, making the watch seem a little bit larger and giving it a vague 1970s flavour. Despite the resemblance, the new Overseas is tangibly better than the one it replaces. To start with, both the case and bracelet are user-friendly. All of the new Overseas watches have interchangeable straps and bracelets that can be swapped just by pulling a tab on the back of the case. Even the folding clasp for the straps has an easy removal mechanism. 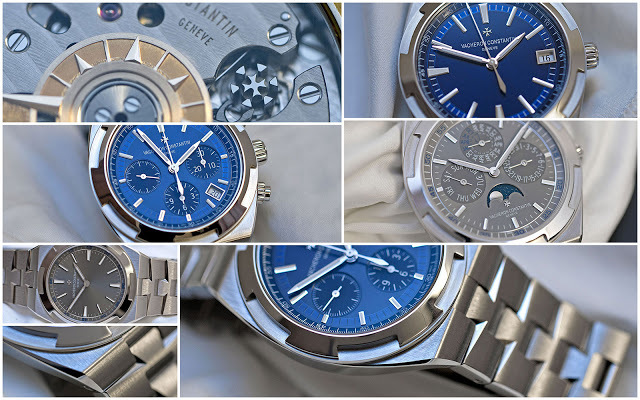 Consequently, all the Overseas watches are delivered with extra straps: the models on metal bracelets come with alligator as well as rubber straps, while the precious metal models on alligator straps are accompanied by another rubber strap. And the metal bracelets have an “easy-fit” system for small adjustments to the length of the bracelet on the go; just pull the bracelet and it lengthens, while pushing the links towards the clasp shortens it. Also, for the first time, the Overseas is powered entirely by in-house movements (though the calibre 1120 is a matter of debate). 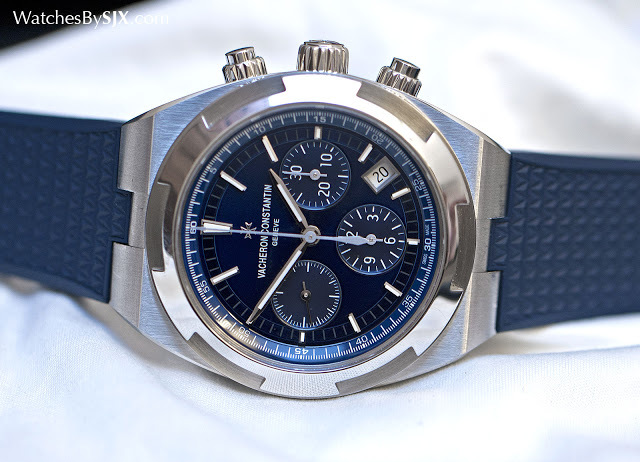 Both the Overseas Chronograph and time-only automatic are equipped with a newly developed calibres. 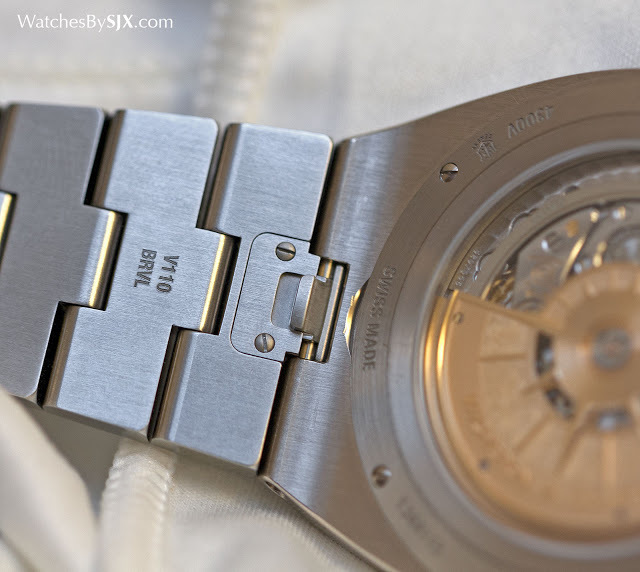 Notably, all the Overseas watches have display backs as well as a soft iron ring around the movements for a degree of protection against magnetism. The exact level is not specified but it’s unlikely to be as high as that in watches with closed backs and soft iron enclosures. 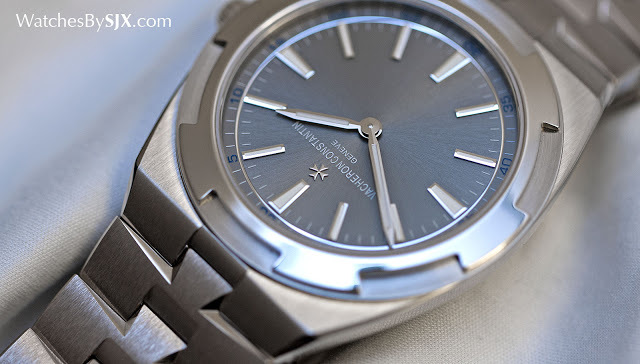 Another feature shared by all the new Overseas watches is a curious double minute track. All the dials have minute hash marks adjacent to the hour markers, as well as another minute track on the outermost edge of the dial. 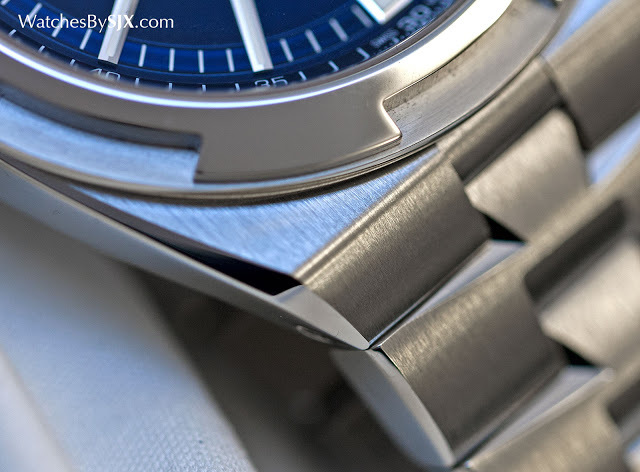 Its purpose is probably to render the dial larger while not making the displays appear too far from the edge. 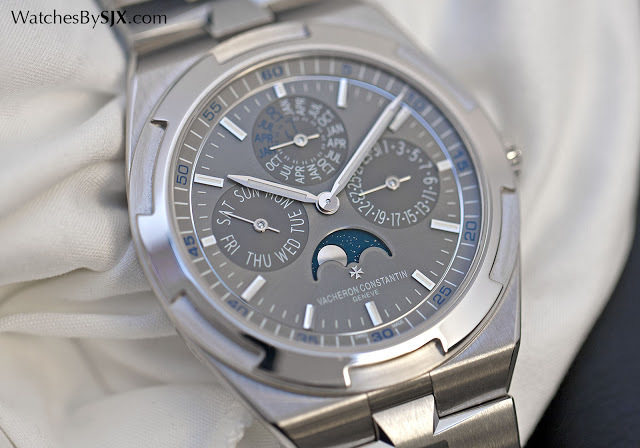 The top of the line is the Overseas Ultra-Thin Perpetual Calendar (ref. 4300V), an elegantly proportioned wristwatch in white gold with a matching gold bracelet (as well as two extra straps). It’s 41.5 mm in diameter and just 8.1 mm high – big enough to be sporty-ish and slim enough to be dapper. 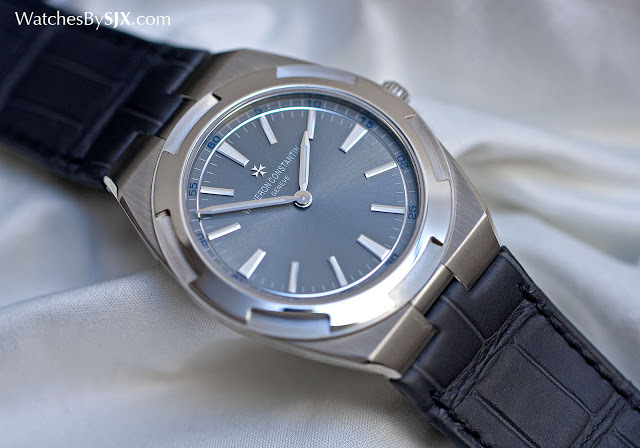 Because of a push-in crown and slim case, it is water resistant to 50 m, while the other models are rated to 150 m.
Inside is the calibre 1120 QP, a slim automatic movement originally designed by Jaeger-LeCoultre in the late 1960s. It’s most famous for being the movement found in both the original Audemars Piguet Royal Oak and Patek Philippe Nautilus. 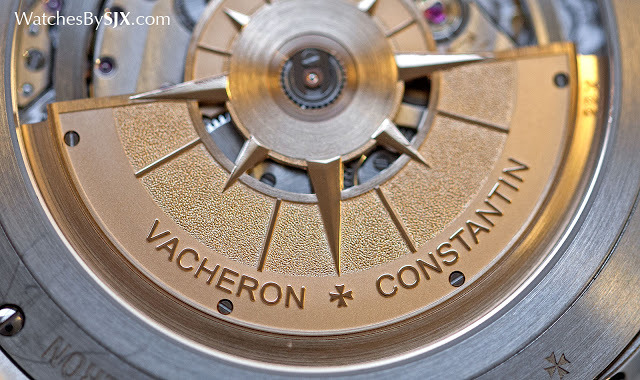 Now known as the calibre 1120 in Vacheron Constantin parlance, it is made in-house by the Geneva watchmaker. 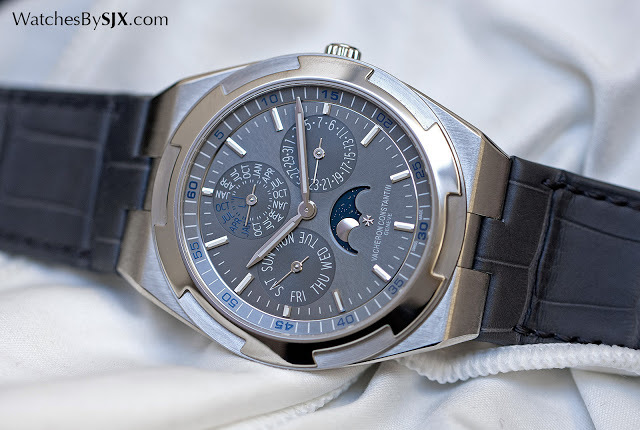 For now the Ultra-Thin Perpetual Calendar is only available in white gold with a grey dial. It will cost €81,900 before taxes. Similarly proportioned is the Overseas Ultra-Thin (ref. 2000V). This is 40 mm wide and 7.5 mm high, with only two hands on the dial, resulting in a look that’s as close to a dress watch as a sports watch can be. 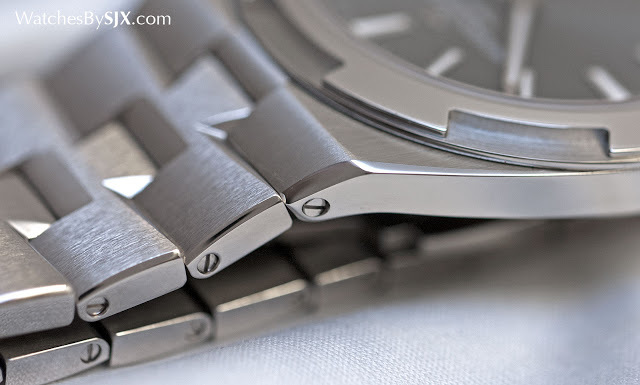 Like the perpetual it is water-resistant to 50 m.
When fitted to the alligator strap it could pass muster as a formal watch, albeit by a narrow margin. 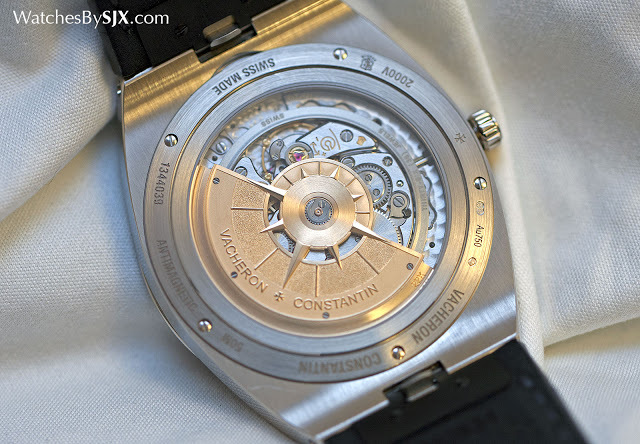 The movement inside is the same calibre 1120 as above but sans the perpetual calendar module. Unfortunately this is also only available in white gold with a grey dial for now, which explains its tax-free price of €49,900. 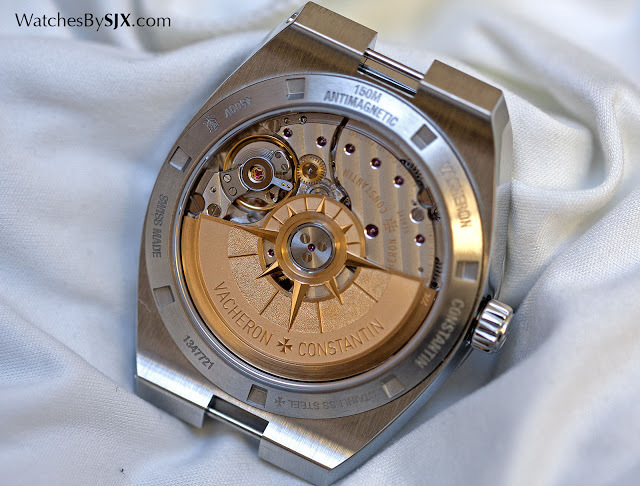 The rest of the Overseas line is fortunately more affordable, being offered in stainless steel. 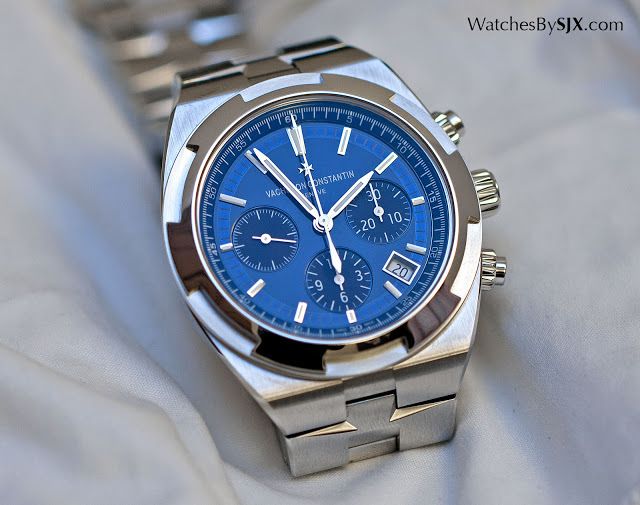 The Overseas Chronograph (ref. 5500V) is the sportiest looking of the lot, being the heftiest watch in the range. 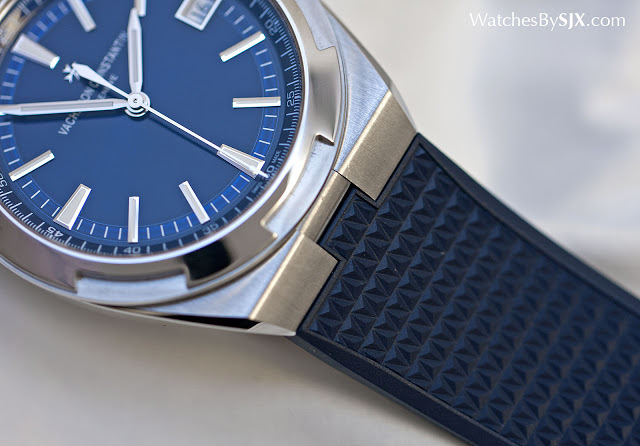 Measuring 42.5 mm wide and 13.7 mm high, it looks and feels like a modern sports watch. 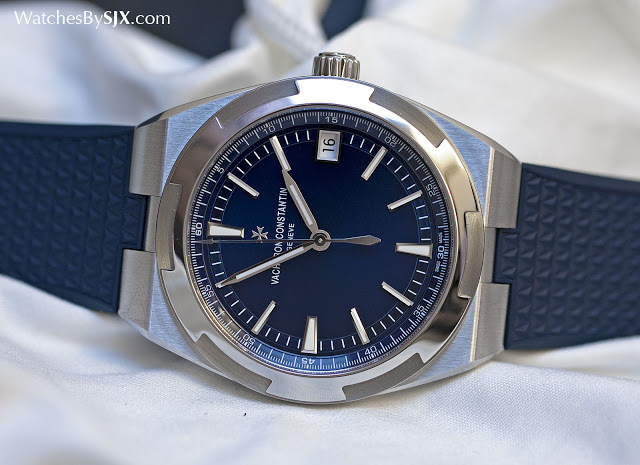 Its depth rating is 150 m.
In stainless steel it’s available with a dial either in a dark, glossy blue lacquer or silver-plating, while in pink gold it’s only available with a silver dial. 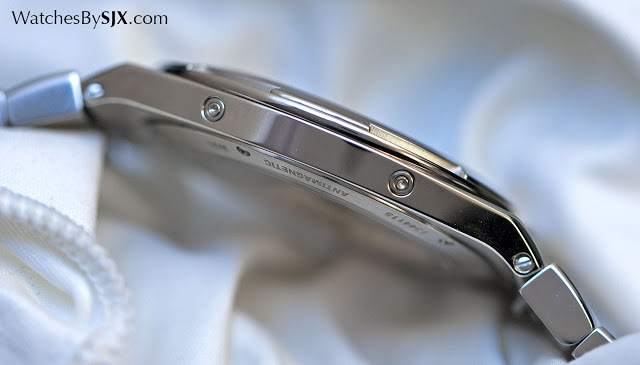 Additionally, the steel model comes with a steel bracelet, alligator strap and rubber strap, while the pink gold version is fitted to an alligator strap, plus a spare rubber strap. 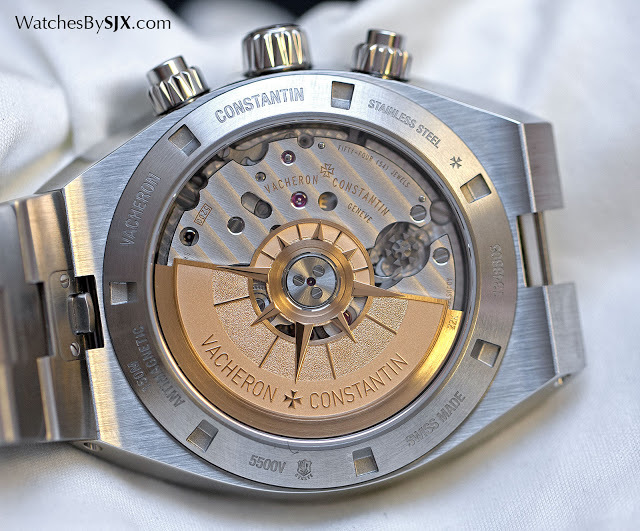 It’s is fitted with the calibre 5200, a self-winding chronograph movement – the first such in-house movement from Vacheron Constantin. Like most other modern chronographs, it has a column wheel as well as vertical clutch, while the power reserve is 52 hours. 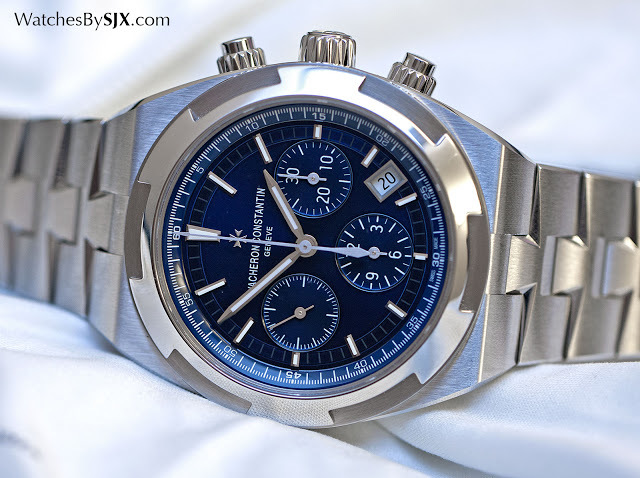 The Overseas Chronograph is €25,900 in steel and €43,900 in pink gold. The Overseas (ref. 4500V) is the base model of the range, an automatic with the time and date water-resistant to 150 m. This is 41 mm wide and 11 mm thick, a practical size. 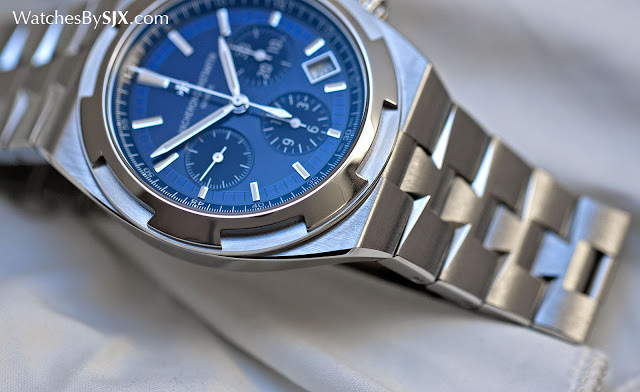 Like the chronograph this is available in steel or pink gold, with blue or silver dials for the steel. 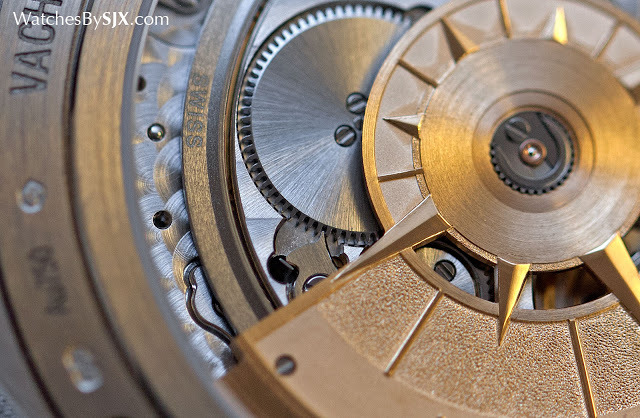 Inside is the calibre 5100, an automatic movement that’s a close relative of the calibre inside the chronograph. It has a 60 hour power reserve. 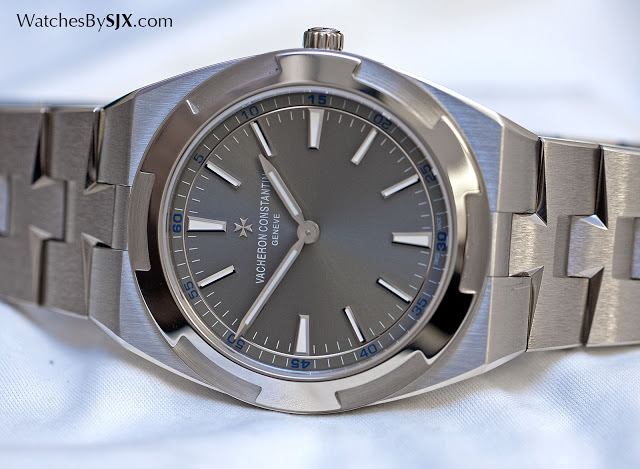 The Overseas automatic is priced at €17,900 in steel and €31,900 in pink gold. 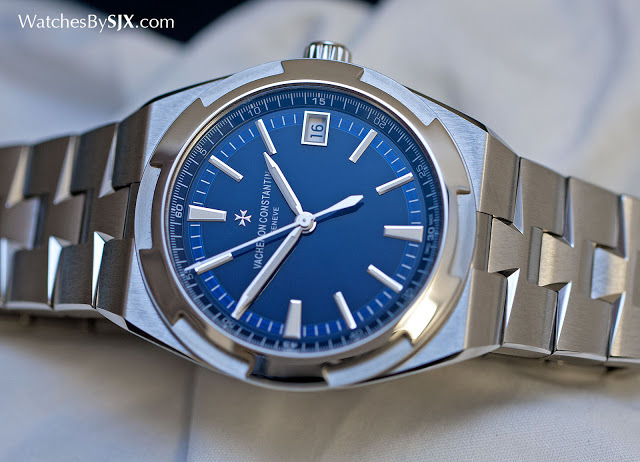 The concluding watch in the range is the Overseas Small Model (ref. 2503V) meant for ladies. 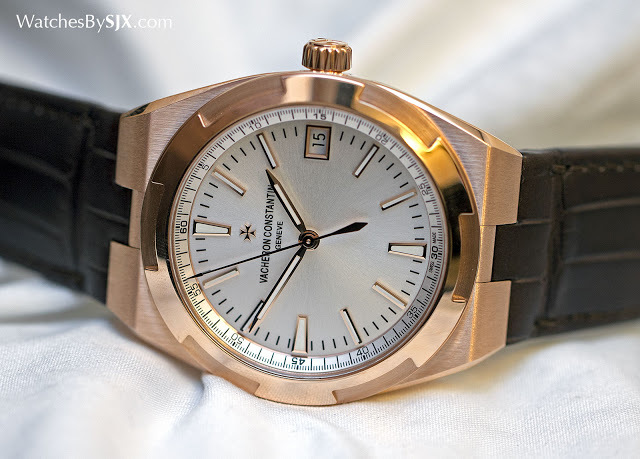 Just 37 mm in diameter, the Small Model has a diamond set bezel for both the steel and pink gold versions. The dial is either a “rosy beige” or blue, characterised by the small seconds at nine o’clock. 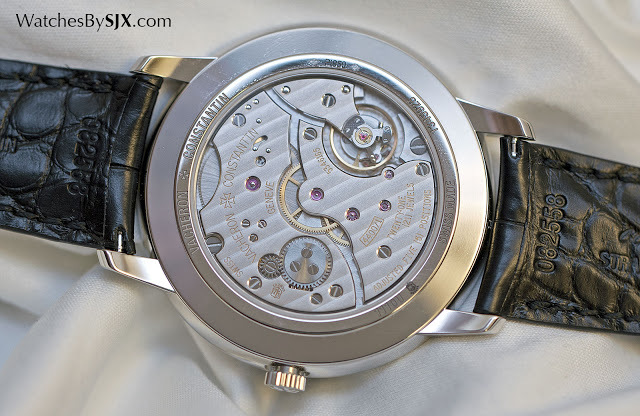 This is fitted with the calibre 5300, a newly developed automatic movement that’s just 22.6 mm in diameter. 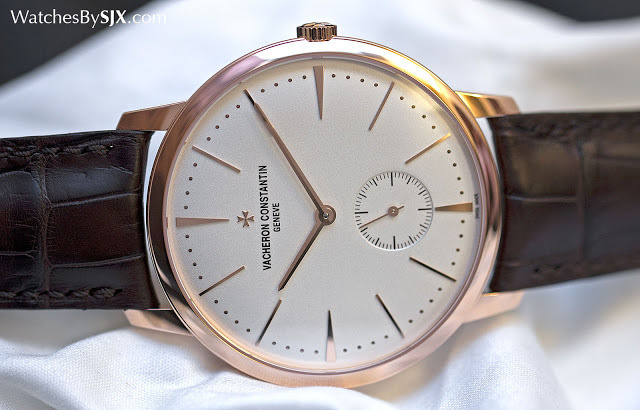 The Overseas Small Model starts at €22,500 in steel on a bracelet, and rises to €46,000 in pink gold with a gold bracelet. 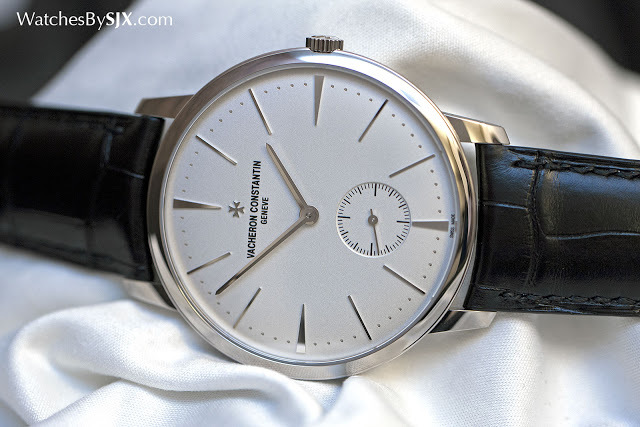 Though the Overseas was the dominating theme at SIHH, Vacheron Constantin did unveil a handful of Patrimony watches, including the Patrimony 42 mm. 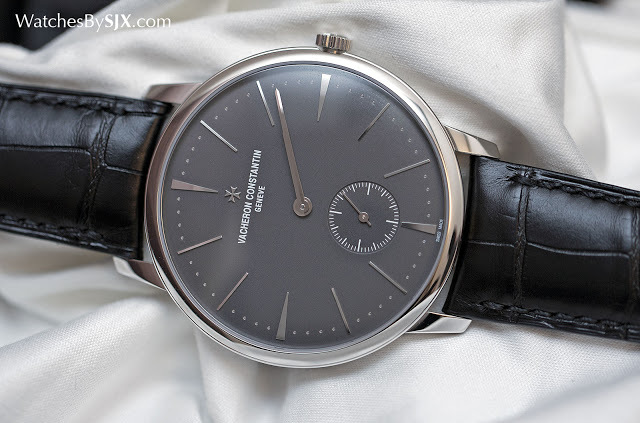 This is an upsized version of the basic, hand-wound Patrimony. 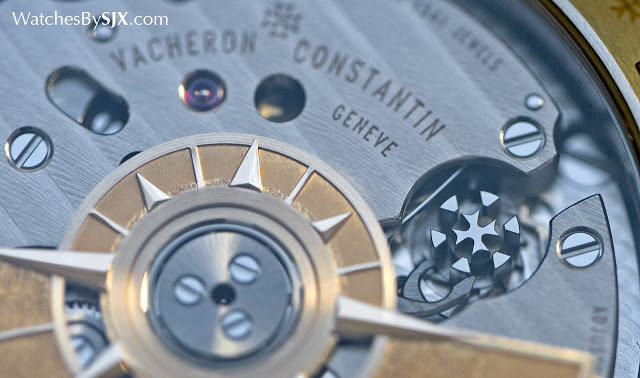 Available in pink gold or platinum, the Patrimony 42 mm has inside the calibre 4400.